Like gentle summer rain after weeks of dry and hot weather my mojo poked it's head up for a couple of days this week. Angels sang and trumpets heralded this rare event. When I've had anything to show at all over the past few months it's been the same type of blocks over and over. Don't get excited - it's more of the same for this post. That's the problem with working on WIP's . It's boring for people who read your blog. Four more scrappy log cabin blocks. Five more of these and I'll be ready to turn them into a top. More work on the hourglass blocks. These seem to be taking FOREVER. I have 20 more of these to finish before it starts to resemble a quilt. I keep waiting for the quilt fairies to finish it while I sleep. So far they haven't made a visit so I keep trudging along block by block. I'm at the stage with the hexie cushion that I'm pulling paper templates out. Surely that means at least one finish is imminent? Linking up to Kate's 15 minute challenge again this week. If I don't finish something soon I think I'm going to take up ceramics. You're kidding? Never ever bored by your posts. Ashamed/embarrassed maybe, but not bored. lol. Love everything you are working on, those log cabin blocks look great. Can't wait to see you hourglass blocks quilt top, pity about the quilting fairies. Maybe leave some salt and vinegar chips for them. Yay that you've nearly finished the hexies. I am feeling the same....need a quickie project so I can feel the joy of being done something, or I should choose less ambitious projects, because I just keep plugging away doing more of the same old stuff. 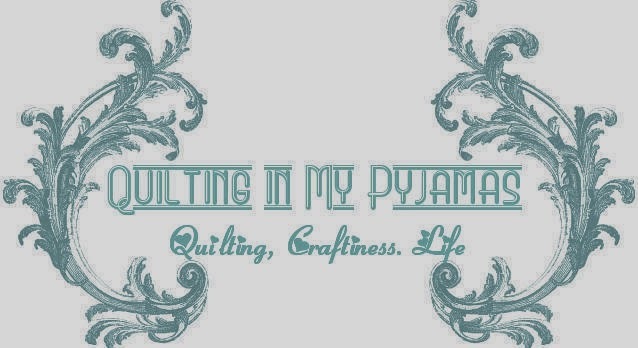 I am pretty sure my readers will see that I am a quilting fraud any day now! I am hoping all my chaotic life antics keep them entertained in the meantime. But I always love your posts....and am especially crushing on your scrappy log cabin, it will be fab. It all looks fabulous. I never get bored reading your blog, are you kidding me. I look forward to any and all posts you write. They always give me a great laugh. WIP's, the reason we have so many, is to keep ourselves from getting bored making the projects. We need lots of different ones to keep us moving forward. Gee thanks MARG! She just gave me a craving for salt and vinegar chips. Great progress! I LOVE those scrappy log cabins the best. But really - would we expect any less from me. I think I might be a bit addicted to them. I'm never bored by your blogs. Not only is your blog always entertaining, but the work you do is great. I especially like the log cabin blocks. Sheesh, hope you give yourself a chance to knock out those last five and twenty and get a flimsy together before you start throwing clay. Like all your creative enterprises....these are gorgeous too. I can't seem to be able to type your name and that b--ig word in the same sentence. Love your blog no matter what you are or aren't up to. I am too busy enjoying all the glorious colour in your WIPs to care when you finish them! Pretty fabrics! All very cheerful and bright. Loving the brights in all these projects. Those log cabins will look amazing hanging together in your quilt. Well done on the Hexie project. Thanks for sharing the happiness. Is the hourglass quilt a christmas one or did you just happen to photograph green and red ones this week? Anyhow, if you were posting about the grass growing you could still make it funny so WIP's could never be boring - especially as you are reminding us all to get on with ours. Patchwork and quilting take time but are worth it don't you think? you're right~!! !~ tuck at least one of those away somewhere (for the old folks home) and start something new~! I think that posting is sometimes really hard, and we, who get bored easily, need the photo ops to keep us focused. Even if it is the same thing over and over. WOP are just that....remember my bloody quilt? I thought I'd never finish whining about that! Do your best, it's always better than what you think! Always love your posts! But I know what you mean about finding enough to post about when doing quilt with repetitive blocks. I'm in the same boat. I really like your idea of "quilt fairies". If you find any, send them my way please. I love seeing your rainbow log cabin blocks! And the hourglass blocks. You pick such pretty fabrics! Keep on keepin on. Eventually something will turn into a finish. It must the be the "ides of March," though because quite a few people (including me) have lost their quilting mojo recently. The hexies are looking good. I've got one of those projects started, but I've yet to pull out the cardboard. Love all the bright fun stuff you are working on. Glad the mojo is back. Sorry for the very late follow up, but the lack of computer problem has been compounded by lack of Internet access. Hope you have fun stuff (even if it's the same stuff) for next Tuesday's 15 Minute Challenge.